Google My Business or Google Maps is the most effective, free marketing tool in today’s digital world. Making sure that your map is claimed or verified is absolutely necessary for today’s marketplace. The easiest way to check whether your business is claimed and verified is to go to www.google.com/business/ and login with your Gmail account. If your business shows up, that’s great news. If not, follow the directions and process of claiming your business. 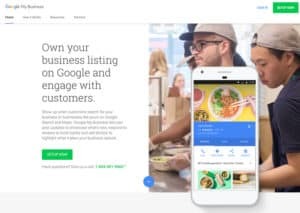 Claim your business on Google. Make sure that the map displays correctly. Focus on using keywords as you fill out the introduction. Use pictures and video. Make them as dynamic as possible. Name them with keywords. Post articles and other content just like your Facebook business page. Focus on getting customer reviews. Google loves reviews. 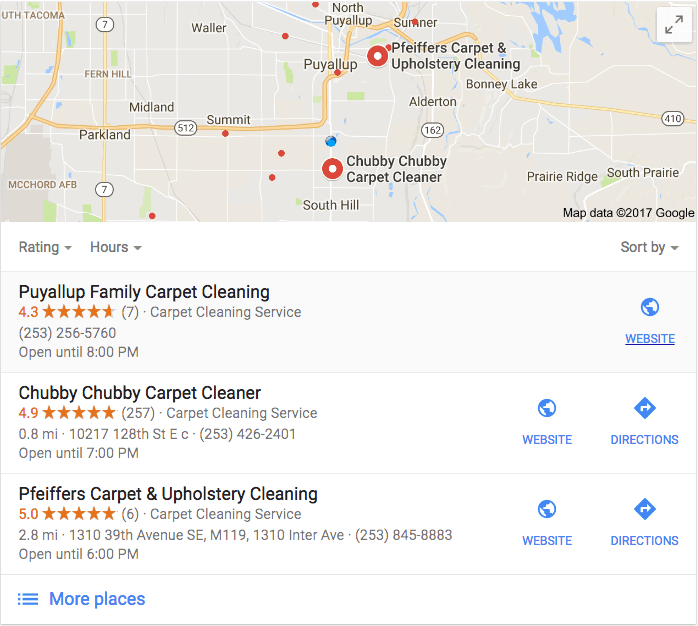 Did you know that on a search results page, the Google My Business/Google Maps listings are the first to show after paid advertisements or Google Adwords? The Google Maps listing conveniently shows searchers the information from your Google My Business (GMB) page including: customer reviews, your website address, your business hours, photos of your business, your address (which is tied into the Google Maps app on your phone), blog posts, business description, and most importantly, your contact information. Essentially, this listing gives your potential customers the information they need to easily make decisions. I don’t want to do this myself, can Highstreet help? Highstreet Advertising can help improve your ranking and get you into the Google Maps listing, encouraging potential customers to pick your business over the competition. We’ll claim your GMB page for you, update or complete your business information to improve your local search ranking and provide accurate information to potential customers. Searchers can conveniently call your business directly from your listing on their smartphone. We’ll geotag and keyword tag photos for your GMB page to verify distance and relevance for Google searches. Customers can easily see where you are and get directions on their smartphone. Call 253-845-0230 to have Highstreet Advertising help with your Google My Business listing.